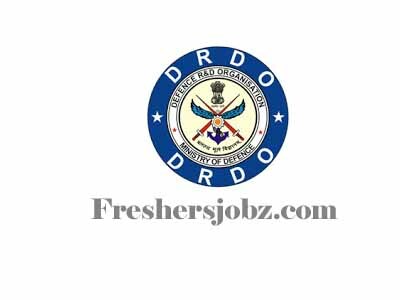 DRDO Notification 2018.Defence Research and Development Organisation, has released a notification for the recruitment of Apprentice vacancies.Check the eligiblity and notification prior to apply for the positions. 1. For Graduate Apprentices: A degree in engineering or technology granted by a statutory university in (Electronics & communication engineering), A degree in engineering or technology granted by an institution empowered to grant such degree by an Act of Parliament in (Electronics & communication engineering), Graduate examination of professional bodies recognized by the Central Government as equivalent to a degree in (Electronics & communication engineering) A sandwich course student who is studying in approved Govt. Institution and who is undergoing training in order that he may hold a degree in engineering or technology as mentioned at (a) and (b) above. 3. For Trade apprentice: Apprentice for Students of sandwich Diploma in Chemical Engineering who are studying in approved Govt. Institution. They should complete all subjects of previous semisters/years without any back logs. The qualification prescribed shall be from a recognized University/Institute only. 5. Eligibility Creteria: Applicant should be Indian citizen . The service conditions of the apprentices so selected would be governed by The Apprentice Act 1961 as amended from time to time. Reservation for SC/ST/OBC and physically challenged (in identified trades) will be applicable. (ii) Consolidated Mark sheet/ last mark sheet of essential qualification obtained. If the Institute / University assigns grades, conversion certificate if any, from respective University/College for calculating percentage of marks. (iii) D.O.B document – 10th Standard certificate or Birth Certificate issued by the Municipality or such appropriate authority. Applications in prescribed form complete in all respects in sealed cover with caption “ Application for apprentice trainee” written over the top of the cover should reach by speed post /regd.post to Director, Naval Science & Technological Laboratory, Vigyan nagar, Gopalapatnam post , Visakhapatnam - pin-530027 on or before 22nd JULY 2018.